The Lutheran Order of Service for the 5th Sunday after Trinity is available here in isiZulu and seTswana. Today it comes with a sermon based on God’s word through the apostle St. Paul in his 2nd letter to the Thessalonians in the 3rd chapter the verses 1-5 written by Pastor Dr. S.E.Sithole (S.A. Bible Society, KZN) in isiZulu (wz1439140713 n Tr 5) and translated as usual seTswana (wt1439140520 n Tr 5) by my father Rev. E.A.W.Weber DD (Welbedacht, KZN). O God, You have prepared for those who love You good things that surpass all understanding. Pour into our hearts such love toward You that we, loving You above all things, may obtain Your promises, which exceed all that we can desire; through Jesus Christ, our Lord, who lives and reigns with You and the Holy Spirit, one God, now and forever. Modimo, Mong-wa-thata-yotlhe, re lebogela bopelotlhomogi jwa gago, gonne o re bolokile, wa tsamaya le rona, go fitlha mo letsatsing la kajeno. O re femele, Morena, mo thateng ya ga Satane, le mo go tsotlhe tse di bosula tse di lekang go re kgaoganya le wena. Morena, o re dire gore re nne dikala tse di ungwang maungo a a monate, o tumisiwe wena o le wesi, Rara yo o mo legodimong. A re tshegofadiweng ke wena, Morena, mono kwa re phuthegetseng teng. Re a kopa gore re gogwe ka bopelotlhomogi jwa gago, e seng ka go dira ga rona, mme ka go gogiwa ke wena. O nne le rona, Rara, ka nako yotlhe mo tirelong eno, re itshwarelwe maleo ke wena, re kope gore o tiise tumelo e re e abetsweng ke wena. Re rapelela balwetsi botlhe mo mafelong a a farologanyeng, gape re kopela lefatshe lotlhe kagiso, leina la gago le godisiwe. A bopelotlhomogi jwa gago bo nne le rona ka metlha. Re kopa tsotlhe tseo mo leineng la ga Jesu Keresete, Morena wa rona. Amen. Nkulunkulu Mninimandla onke siyabonga umusa wakho ngokuba usilondolozile, wahamba nathi kuze kube lapha. Sivikele emandleni kaSathane nakukho konke okubi okufuna ukusahlukanisa nawe, Nkosi. Senze, Nkosi, sibe amagatsha athela izithelo ezinhle kudunyiswe wena wedwa Baba wethu osezulwini. Masibusiswe nguwe, Nkosi, njengoba sihlangene lapho. Siyacela ukuba siholwe ngomusa wakho kungabi ukwenza kwethu kepha ngokuholwa nguwe. Iba nathi, Baba, nangaso lesisikhathi samanje kulenkonzo sithethelelwe nguwe izono zethu, sicele futhi ukuba uqinise ukukholwa osiphe khona. Sikhulekela bonke abagulayo ezindaweni ezahlukene, sicele futhi nokuphiwa nguwe ukuhlala ngokuthula kulelizwe, kuphakanyiswe igama lakho. Umusa wakho mawube nathi ngazo zonke izikhathi, sicela konke egameni leNkosi uJesu Kristu. Ameni. 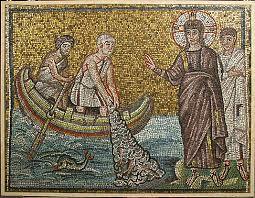 This entry was posted in Lutheran Order of service and tagged 2Thess3:1-5, 5th Sunday after Trinity, Eph 2:8, Grace, LCSA, LHF, Miraculous Fishing draught, Rev. Dr. E.S. Sithole, Rev. E.A.W.Weber DD, Sermon, Tswana, Zulu. Bookmark the permalink.